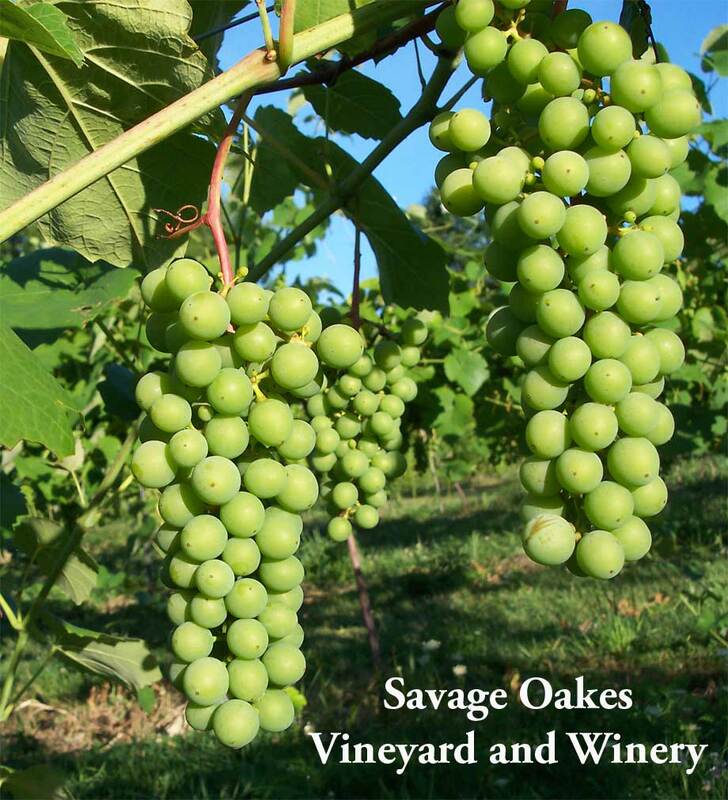 At Savage Oakes Vineyard and Winery we currently grow ten varieties of cold hardy hybrid wine grapes. 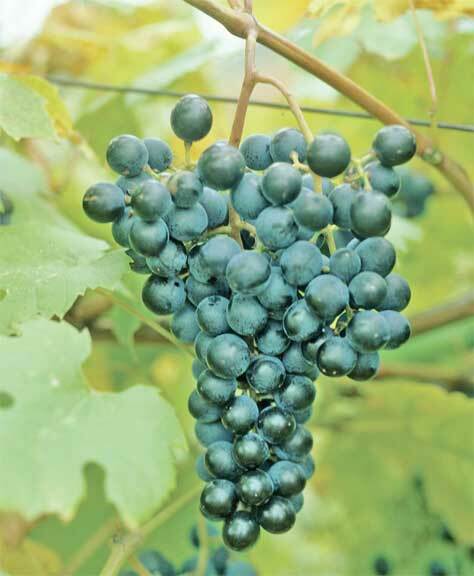 We planted the first block of four varieties on two acres in 2002. During the next three seasons we expanded to almost four acres with approximately 1800 vines. 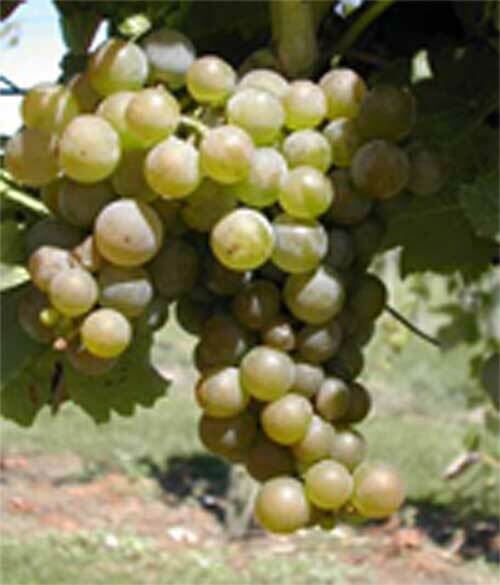 The site on which the vineyard is located provides an ideal location for grape production. The south-facing sloping hillside catches long hours of sunshine essential for ripening, while the ever-present breezes maintain the airflow needed for vine health and frost protection. a fruity light red table wine. 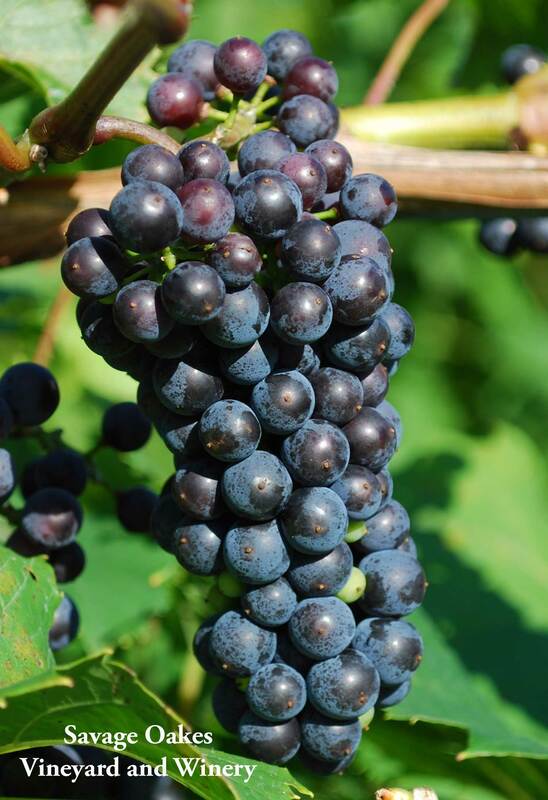 An early ripening black grape. Foch but earlier and more productive. red wine. Hardy to minus 40 degrees. Product of the Geneva Breeding Program. resistance with excellent wine quality. 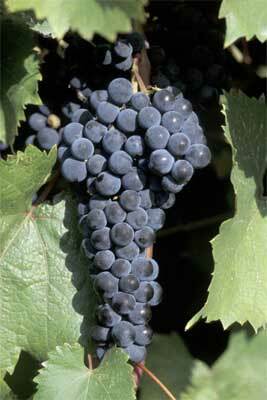 structure rarely found in hybrid wines. 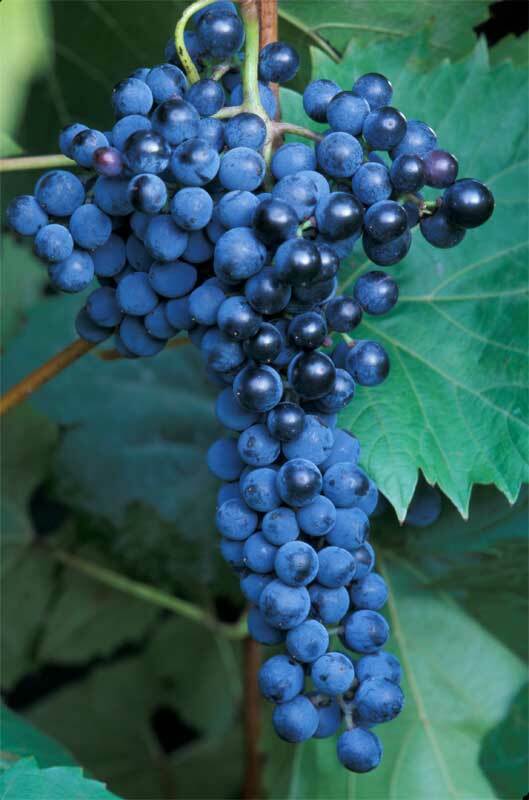 resistant varieties grown in New York. promise an important future for this variety. 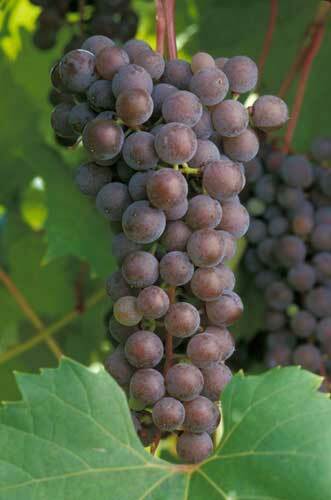 grape varieties because it requires cross pollination. 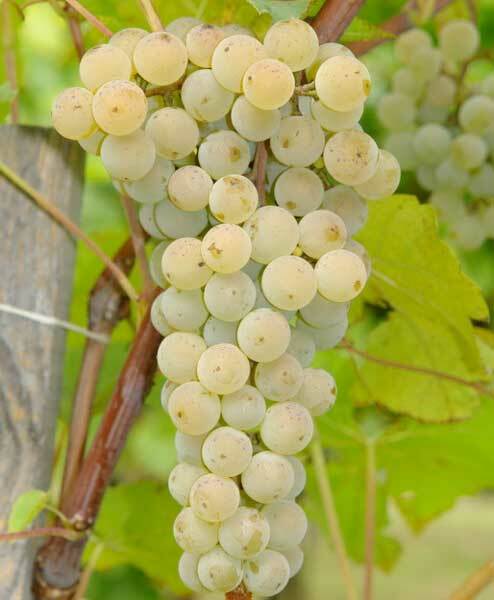 of aromatics in ‘LaCrosse’ wines range from pear, apricot and slightly Muscat to citrus and floral. Lends itself well to a dry white fermented in oak. 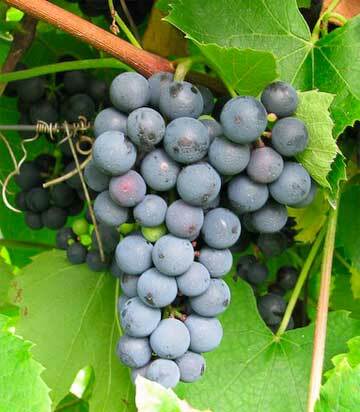 Small red-gray berries are born on medium sized, loose clusters. Suitable for high quality table and dessert wines, possibly ice-wine as well. 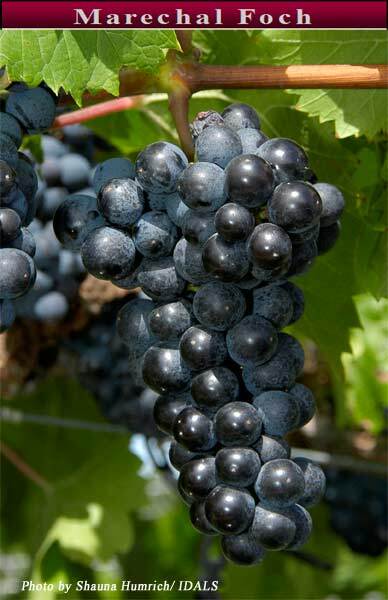 Ripens mid season with aromas that include peach, apricot, citrus, and pineapple.